Authentic rustic pine textured finish. 2. Custom sizes available in two weeks up to 120” height and 72” width. 3. 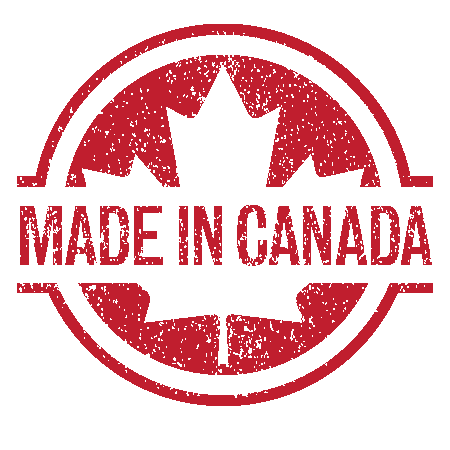 Special low cost delivery to Ontario destinations. 4. Five stain finishes Included in the price.Custom stain and paint finishing available. Ask our Support Agent on Live Chat to quote you. 5. Special package pricing for doors and hardware. Ask our Support Agent on Live Chat to quote you. 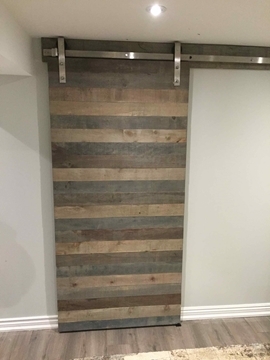 The S-Quire is your quintessential American-style barn door and gets its name from the S pattern seen on the front. Our most classic design, this door is attractive from both sides and will be a welcome addition to any home. 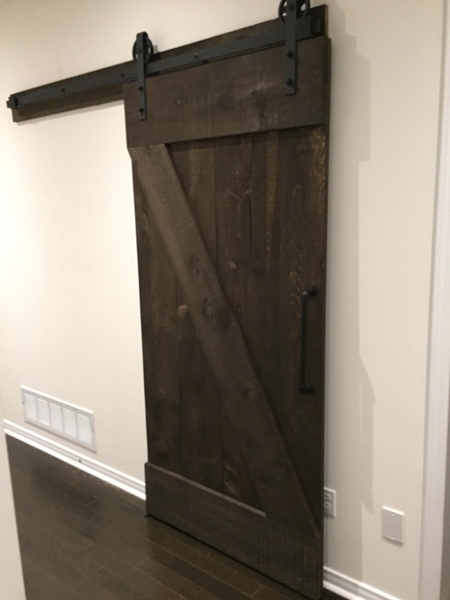 This door can be used at any location in your home and is often used in a multi-door setup. 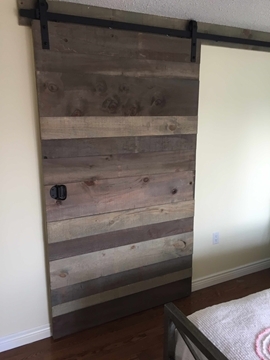 Hand-built in Canada using rough cut pine, the S-Quire is a professional grade barn door built with solid 1-inch-thick wood sourced from sustainable mills in Quebec, Canada. All wood is kiln dried to 12% moisture content and screwed together – nothing glued. Thicker than your typical barn door purchased at a big box store, the solid construction of our barn doors ensure longevity even under heavy use. We have multiple finishes available, including zero VOC stains & paints. If you wish to have a custom colour or wish to customize your door in any way, simply speak to a customer service rep through our LiveChat feature and we will be happy to assist. 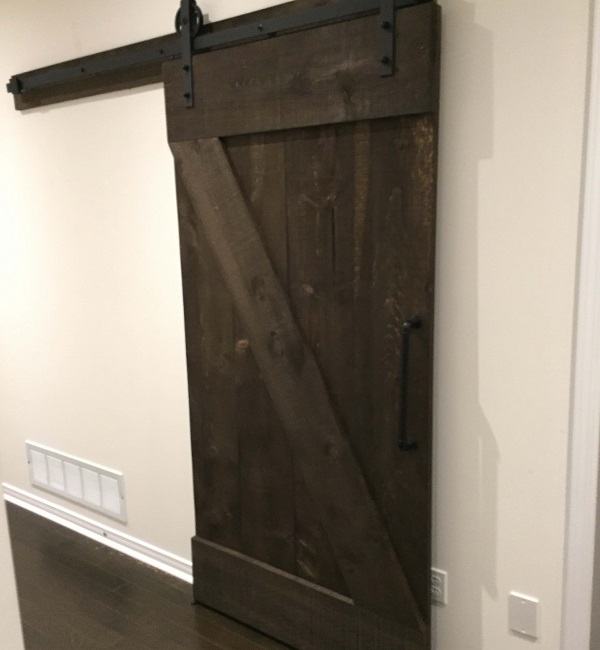 All barn doors ship within 14 days. Have any questions? Send us a message on LiveChat and our customer service rep will assist in any way possible.